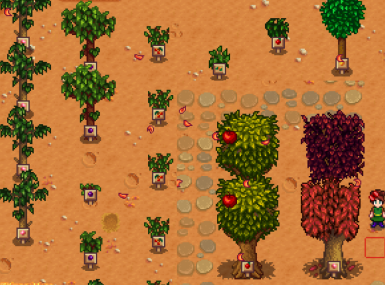 So I was getting frustrated with not knowing what Fruit Trees I had planted. These are just small signs for the fruit trees that let you know what you've planted. Backup previous fruitTrees.xml if you want!